The Community Edition is meant to be an improved version of the original game, including additional bugfixes and various new features that do not fundamentally alter the intended game experience. GoG version requires manual installation. X:CE does not support Linux release. Pillarboxes to 16:9; near impossible to edge scroll horizontally. 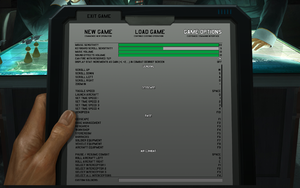 Select windowed mode and desktop resolution. Always enabled. Can be forced off in GPU drivers. Some fan made translations are available on official Goldhawk Interactive forums. This page was last edited on 16 April 2019, at 20:41.